When garage doors don’t close all the down or rise all the way up, you can conclude that there may be some problem with them. Though these issues don’t necessarily seem too harmful, they can actually lead to worse accidents and unwanted effects. 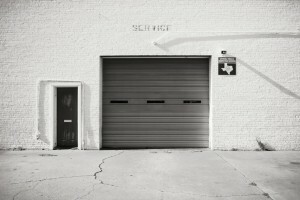 When you’re having trouble with your garage door, before calling for professional assistance, consider if the issue can be mended through simple adjustments. Sometimes all a person has to do is tighten some screws in order get his/her garage door working again.